Hula hooping builds core strength, increases coordination and balance and reduces stress. I have been pretty hooked on it for years, ever since I housesat one summer and noticed an enticing silver hoop leaning up against the wall. I felt compelled to try. Shortly afterward, hula hooping became a regular, albeit casual, hobby. But my moves were mostly amateur and informal until I discovered a class that combines hula hooping and dance. 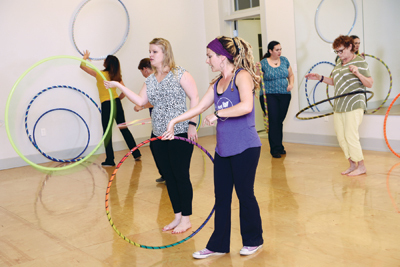 The weekly classes are held at the Broadmoor Arts and Wellness Center and taught by Jennette Ginsburg of Hey Now Hooping, a small business with a mission to create memorable movement and fun fitness programs specializing in hula hoop fitness and hoopdance. “Taking time out of our busy schedules for playfulness has significant therapeutic benefits,” says Ginsburg, who says she likes that it can be slow and meditative or fast and high-energy. It can be creative or repetitive, social or solitary. 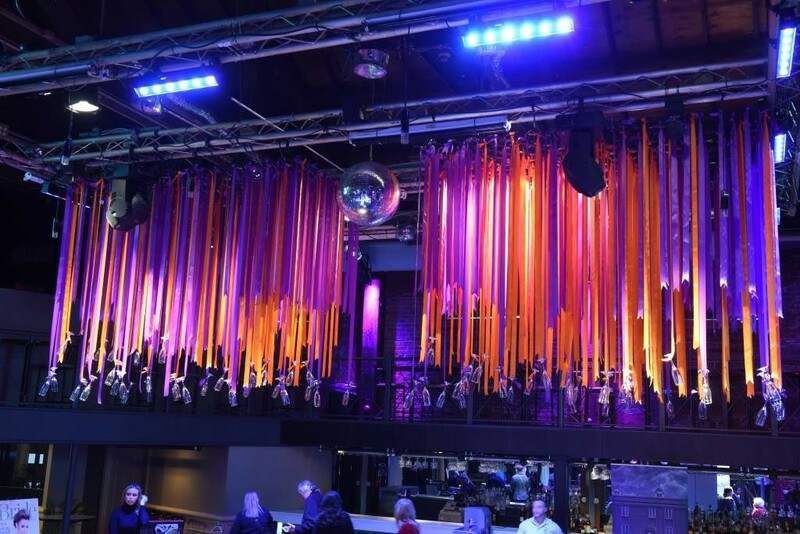 Throughout the hour-long class, Ginsburg guides students through warm-ups, free-form routines and choreography while offering tricks and tips to the soundtrack of energetic, mostly New Orleans-centric beats – think brass bands and bounce remixes. The class atmosphere is laid-back and supportive, attitudes that reflect the hula hooping community in the Crescent City, which Ginsburg says is expanding. “As a way to support and build the hoop community, Hey Now Hooping hosts a free monthly hoop jam every second Sunday in City Park,” she says, explaining that a “hoop jam” is an informal meet-up of hoopers of all levels. The next series of classes starts April 20. If you want to stay informed of hoop classes and events, you can sign up for monthly emails on Facebook: Facebook.com/HeyNowHooping, email HeyNowHooping@gmail.com, visit HeyNowHooping.com or call 215-9090.